Tooth loss is a nightmare for everyone, especially for people who have lost their front teeth. Apart from making it difficult to chew, the loss of the front teeth can significantly affect the capacity of people to smile and bring down their self-esteem. A research conducted by the Australian Dental Association in early 2018 showed that almost 90 percent of the adults face some form of dental decay during their life. It means that most people experience tooth loss multiple times in their life. Tooth decay and periodontal diseases are two significant reasons for tooth loss. Apart from that, injuries and accidents also lead to tooth loss for many people. Age can influence the dental health of a person. As people get older, they become more vulnerable to teeth loss. Having diabetes and high blood pressure are two other important risk factors for teeth loss. While proper dental care can better safeguard you from periodontal diseases and tooth decay, proactive measures such as mouthguards – recommended for sports people – can limit the risks of accidents and injuries. Irrespective of the best efforts, tooth loss is a reality for many people. For such people, dental implants become the primary solution for their worries. Compared to other options, dental implants are a popular and highly accepted dental replacement procedure across the globe. This is because dental implants closely replicate the functions of actual teeth and look similar to natural teeth. It is a metal or ceramic screw implanted into the jawbone for replacing a missing tooth. The dental implant works like a tooth root and supports the dentures and individual crowns fixed on it. The implants fuse to the jawbone of the patients and work as a permanent solution to their dental worries. Dentists perform minor surgery on the jawbone to fix the implants on it. Dental implants became one of the most preferred tooth replacement options with consistent results. In recent decades, dentists developed some advanced dental implant techniques and procedures to help patients with substantial teeth loss. For instance, All-on-4 is an amazing advancement in dental science for replacing the entire row of teeth with just four implants. It is a great solution for people who have lost a significant number of teeth or struggling with edentulism. 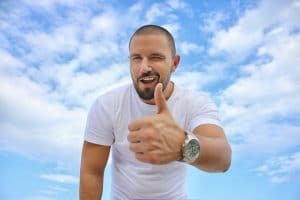 Who Should Choose Dental Implants? • Should have a fully-grown jawbone. • Sufficient bone density to secure the implants. • Have healthy oral tissue. • Do not have any health issues that can affect bone healing. Note that dental specialists perform bone grafting for patients who do not have sufficient bone density. Dentists also offer mini dental implants for people who cannot go for bone grafting. Mini dental implants are small diameter implants that can be fixed into smaller jawbones. Dental implants are an excellent choice for people who are unwilling or unable to wear dentures. Dentists provide two types of dental implants based on the procedure: endosteal implants and subperiosteal implants. While endosteal implants are directly fixed into the jawbone, subperiosteal implants are metal frames that are just fitted onto the jawbone below the gum tissue. Compared to subperiosteal implants, endosteal implants are most commonly used and provide more durable results. Based on the material used, patients can choose either metal or non-metal implants. While titanium is the obvious choice for patients who want metal implants, zirconia is the option for people who want non-metal or ceramic implants. Metal implants showcase excellent durability and strength compared to ceramic implants. However, it can experience corrosion, and some patients may struggle with allergy issues. Studies show that titanium implants showcase a success rate of over 98 percent after a decade of the surgery. Zirconium implants do not show corrosion or any other oral issues once implanted. Since the implant comes in a creamy white colour that is aesthetically appealing, it becomes the most natural choice for a tooth replacement. However, it is less durable compared to titanium implants. The dental implant is a multi-step, lengthy process that can only be performed by dentists who are specialised in implant surgery. If you plan to choose dental implants, it is great to know the step-by-step procedure. Your dentists will examine the jawbone of the implant site to see whether it has sufficient density and strength to hold the implant. They use X-rays, 3D imaging, and computed tomography scans to ensure bone density and structure before confirming the implants. The dentists will also check the nearby nerves and blood vessels to ensure no or minimal damage to them during the surgical process. As mentioned earlier, dentists will advise bone grafting or mini implants for patients who do not have sufficient bone density. On the treatment day, your dentist will cut and open your gum to expose the bone. The dentist will anesthetise the site before opening the gum tissue for the surgery. They will use a scalpel to access your jawbone for the surgery. Once the jawbone is accessed, the dentist will make a hole by drilling it. Initially, dentists will perform half-way drilling and insert an alignment pin to ensure that the hole is at the right depth and angle for the implant. Once your dentists had made the right alignment, they will drill the site further to fit the implant correctly. Note that the dentists will perform the drilling slowly and flush the implant site with saline solution or water. It avoids the overheating of bones during the drilling as it can slow the fusion of the implant to the bone. Some dental implants come with “self-threading” capabilities and can create their thread in the jawbone while fixing. For other implants, dentists should use special instruments to create threads in the bone to screw the implant. After the implant fixed is into the jawbone, dentists will place the gum flaps back and put sutures for healing. They will also put a special “implant cap” on it to protect the implant site and ensure quick healing of the gum. The healing and recovery period can vary based on the implant site and the techniques used to fix it. Note that the sutures put on the gums can usually be removed within ten days. It may take a maximum of six months for the implant to fuse with the jawbone and ready for the prosthetic. After the implant has fused with the jawbone, your dentist will remove your implant cap and attach an abutment to the top of it. Finally, they will fix a crown or bridge – based on the number of missing teeth – on top of the abutment. Note that the crown or bridge is prepared separately – either in the dental clinic or in a dental lab – to match the size, shape, and colour of your missing teeth. Dentists measure your jaws and gums after the implant surgery to prepare matching crown or bridge. The dentists will also advise you on the steps and care to ensure complete and quick healing. They will also schedule future examinations to ensure the implants provide you effective results. • It improves the appearance of your smile as the implants are designed to look and feel like your teeth. • Dental implants help you to speak clearly, without any mumbling of words. People who use traditional or poor-fitting dentures often struggle to speak due to teeth slip within the mouth. • While removable dentures make chewing difficult, the dental implants work like your natural teeth and allow you greater freedom to enjoy your favourite foods without pain and struggle. • Dental implants can bring back the bright smile on your face and help you to improve your self-esteem. • Compared to other teeth replacement options, dental implants are long-lasting and provide consistent results. • Studies show that dental implants can enhance the oral health of patients. 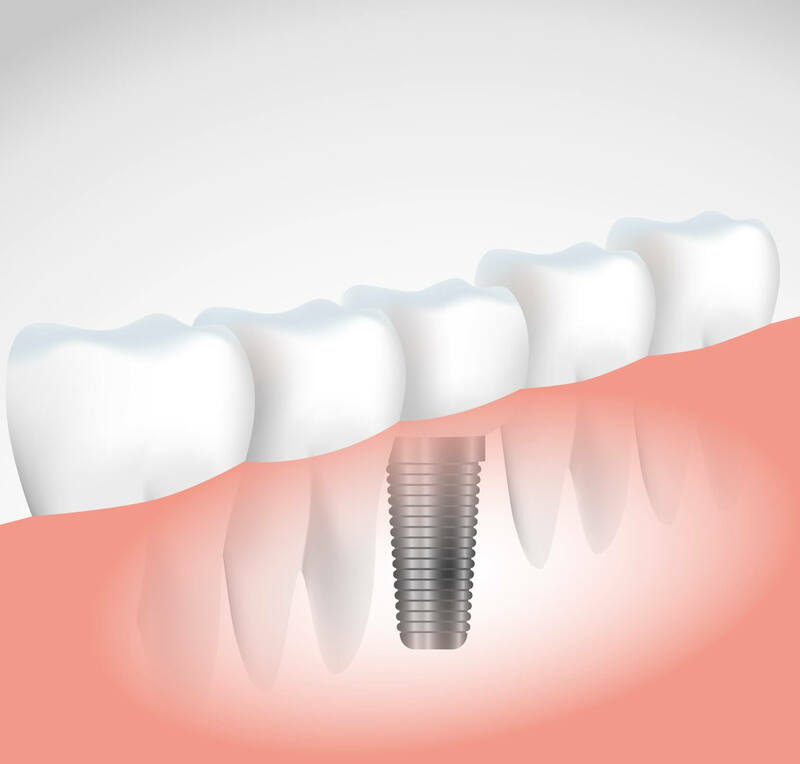 Compared to tooth-supported bridges, dental implants do not need the support of other teeth. This means that the adjacent teeth are not altered to fix the crown. Individual implants provide better access between teeth and ensure improved oral hygiene. While dental implants provide highly promising results, lack of care and dental hygiene can reduce the effectiveness of the results. For instance, smoking can lead to implant failure – the jawbone fails to fuse with the implant. Regardless of if you decide to get dental implants, oral hygiene can help you to enhance the health of your natural teeth, gums, jaws, and implants. Good oral hygiene and care can increase the lifespan of dental implants. Note that titanium implants can provide lasting results for over 25 years if you give proper dental care. You should also consult with your dentist on a regular basis to ensure the overall oral health, including the implants. Searching For Qualified Dental Implant Services In Melbourne? 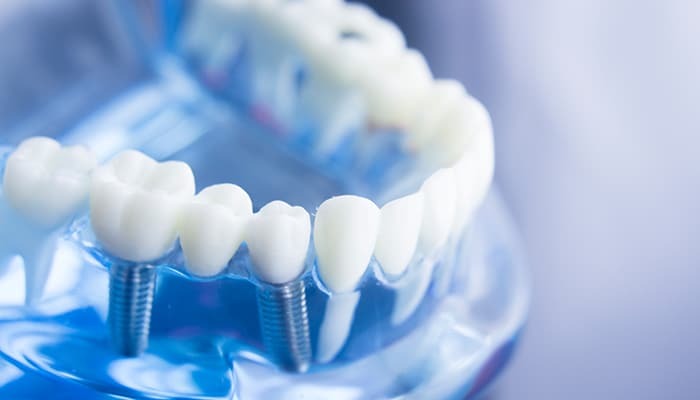 Are you searching for qualified dental implant services in Melbourne to get permanent solutions to your missing tooth and want to know how much do dental implants cost? Bay Street Dental Group has highly-qualified dental surgeons and the right equipment and tools to offer you qualified dental implants at affordable prices.